Marketing is viewed as triage. The company applies a collection of tactics (often labeled as a “marketing campaign”) only in response to a problem; typically involving the loss of a key client, or decline in revenue. When business is good, little or no time is invested in marketing. When business (inevitably) takes a dip, marketing becomes a priority. 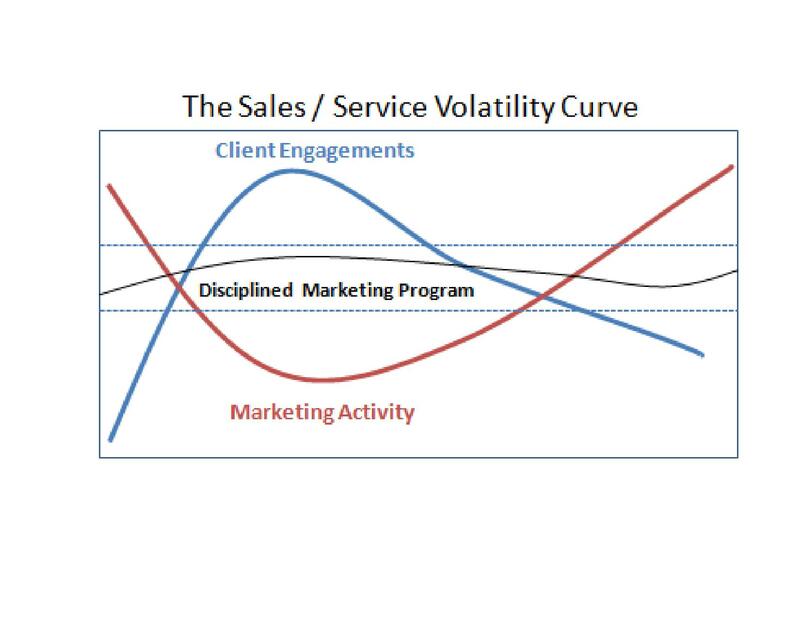 This classic behavior is depicted in the “Sales / Service Volatility Curve” chart above. Marketing is expected to deliver immediate results. Either because the company views marketing on a cause & effect tactical basis, or because marketing triage must quickly revive an ailing company, the marketing function is given little time to produce tangible results. It’s no surprise that Chief Marketing Officers have the shortest tenure of any corporate function. The sad truth is that very few B2B firms either understand the marketing function, or have the discipline to design, implement, measure and stick with a marketing approach that builds brand equity and market engagement on a consistent basis. 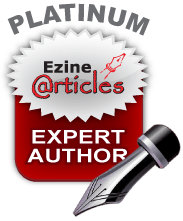 Create a Written Marketing Plan. Include goals, strategies, responsibilities, timelines, budgets and ways to measure results. Without a Marketing Plan you will not succeed. And unless it’s a written document, you do not have a Marketing Plan. Gain Senior Level Commitment. The corner office must understand, endorse and support the Marketing Plan. The Plan must also be properly staffed and funded upfront. Do a Few Things Very Well. Marketing’s success will be based on the quality and effectiveness of a limited number of strategies / tactics. Less is usually more. Build and Nurture your Database. Direct and easy access to your company’s clients, prospects, referral sources and opinion leaders is essential. Without this pipeline, the marketing value of the content you create is close to zero. Create Meaningful Content. Self-serving white papers and client case studies have very limited appeal. Generate content that validates your company’s intellectual capital, on topics that target audiences have a genuine interest in. Drive Top-of-Mind Awareness. Leverage your thought leadership content by sharing it directly with target audiences on at least a quarterly basis. More importantly, use content to initiate two-way conversations that build relationships in advance of sales. Connect with the Sales Force. There’s no better way to find if and how well your marketing strategies are working, or to gain an understanding of the marketplace. …for the discipline to be effective. Otherwise, the traditional short-term, hair-on-fire approach to marketing will keep your B2B firm from ever reaching its full potential.